Sorry Daisy, Donald, Huey, Dewey and Louie, but ducks with Kardashian-sized butts are delicious. 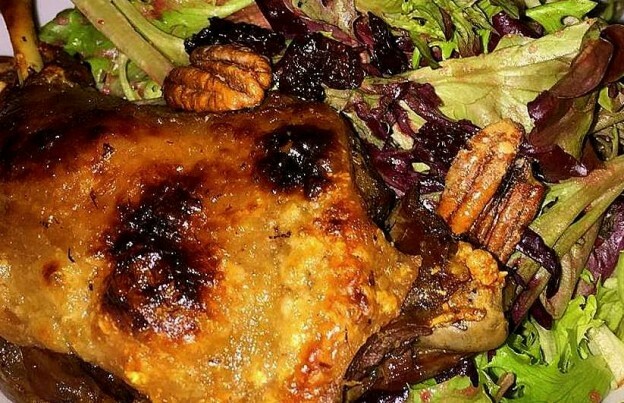 The French, specifically those chefs from Gascony had the right idea when they decided to cook their ducks low and slow for many hours, rendering the fat. 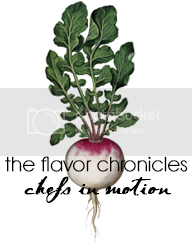 Preserving the meat in the rich unctuous drippings gave birth to other cooking options. Using the confit meat in a baked bean cassoulet is one, and potatoes fried in duck fat is another not-to-be-forgotten recipe. Last night, the local pub/tavern that we frequent, Jamians Food and Drink in Red Bank, NJ had a not-to-be-missed special on its menu. 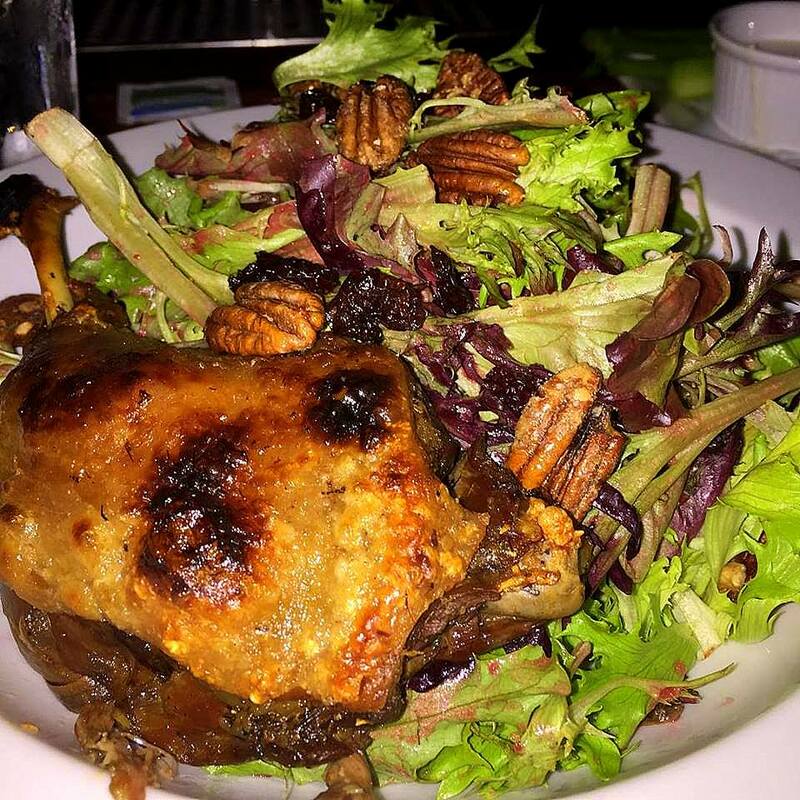 Duck Confit Salad. Velvety tender meat enveloped by crispy skin hanging off the bone of a perfect duck leg. Rich and sumptuous, the bed of frisee salad greens studded with candied pecans, and dried cranberries accented with a citrus vinaigrette cut through the fattiness of every forkful. This was the dish that I hoped to have when we were in France. It was not to be found. Not in Alsace, not in Paris. Sometimes the best things in life are indeed found in our own backyard. Duck confit is one of those dishes to add to a bucket list of tasty musts and a great reminder that there are capable chefs creating extraordinary dishes everywhere and sometimes not where you’d expect. This entry was posted in Dinner, Dinner Salad, French Food, Jersey Shore, Kitchen magic, NJ, Red Bank, Restaurant, Rich and Worth it, Romantic Meals, Salad and tagged Fair Haven, Fat Ducks, French Food, Jamians Food and Drink, Kardashian butts, NJ, Pubs, Red Bank, sumptuous delectable delights, Taverns on January 10, 2016 by admin.